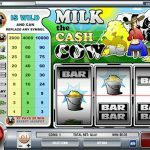 The Wild in this game is the Cash Cow symbol. It will substitute others to help you create a winning combination. Your wins with the wild also come with a nice 3x multiplier. 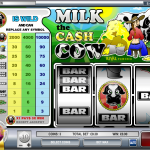 The cash cow is also the jackpot and can win you up to 10,000x your bet. We really like classic 3 reels slots although we think that in this case we’ve seen better. Not that there is something really negative about it if you’re going to spend your time on something there are better options. 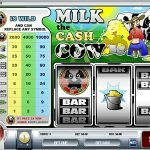 If you’re a fan of 3 reels slots then you should consider playing Heroes Realm a 3 reel slot with great bonus features.